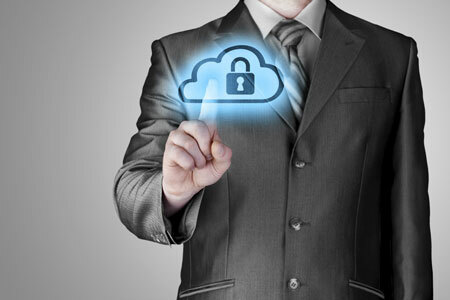 In the cloud, client information can be spread across dozens of servers around the globe. Even in a “private cloud,” where the data is easier to keep track of, solution providers have to have clear and concise explanations ready before they can count on consistent deal flow. Often what seems like an objection is lack of information, and we all know that a confused mind makes no decisions. Customers are scared of the unknown. When you consider the complexity, such as public versus private cloud or is the equipment in a colocation site or in someone else’s data center (or their basement), it’s no wonder business owners need to understand what they are buying. First, Become An Authority. This increases your credibility. Publish an article, a use case, a success journal, and get certified and show the badge. Second, Build A Customer Personal Learning Plan. You know what they need to know. Their objections tell you so. Assemble an education packet from your vendors, the Internet, or from any other sources you can think of. It’s a digest of why, what, how that’s tailored to what they need to know and nothing else. I’m talking about three articles, not an encyclopedia. Why cloud for you? What will it be? How will it work? While ambiguity about the meaning of “cloud” is a hang up for many businesses, security and redundancy remain the top two objections solution providers have to overcome when selling virtual services. I’m going to pause here and geek out a bit. Data Security is a very specific term that addresses three things: confidentiality, integrity, and availability. Providing security means you provide all three of these simultaneously. There is no “security fix.” There are only these three outcomes from a well-designed and executed security program and you must have all of them or you have secured nothing. Regardless of the vertical markets an organization serves or the number of people they employ, your clients need to know where their data is and what measures are in place to secure it. Deconstruct your cloud offers into focus areas that you can explain and use to dominate your competitive landscape. IT professionals who can accurate convey location details and protection measures (the things your prospects and clients truly need to know to feel comfortable) will be more likely to succeed. Make your vendors do the heavy, customer-pre-sales-education lifting; that’s why they have marketing departments and product managers. Every bit of content that they produce about how, why, what, who, when, or where their cloud offer is “The Solution” needs to be given to you and your sales team. You can re-assemble the info into info packages as you wish but you should never have to pay anyone to write an educational piece, a whitepaper, a training course, a technical manual or a guidebook for you. This straightforward approach may not solve every concern, but it will go a long way towards earning the trust of new and keeping the trust of existing clients. Along with respected industry business credentials and clear lines of communication, the list of objections should diminish considerably. Make best practices your mantra. If we aren’t asking the tough questions of our vendors in the cloud space, our business, as well as our customers businesses, are at risk. Trust often centers on how their security stack performs. If a vendor isn’t weaving information protection best practices into their platforms and solution sets, are you truly sure they can be entrusted to protect your customers’ data? Suppliers with a CompTIA Cloud Trustmark+ have made a commitment to those standards, ensuring that security protections, redundancy, disaster recovery, and a host of other measures are firmly in place. That’s as close of a guarantee as solution providers can get from their vendors, a business practice credential backed by the IT industry association, vetted by an experienced third-party professional. With many business clients and solution wanting to know how their vendors’ cloud solutions are secured, the Trustmark makes perfect sense. It reduces the fear and mystery of what happens behind the scenes, and offers a level of comfort to all involved. In addition to encouraging your vendor partners to seek Cloud Trustmark+ and seeking a Security Trustmark+ credential for your own business, what else can you do to overcome cloud objections with your clients?